Until 1997, Projects Abroad was a small organization with just two part time staff sending university students to teach English in Eastern Europe. But with more and more people taking time out on academic and work-related breaks, and with many developing countries in need of self-funded volunteers, our organized volunteer programs started to mushroom around the world. Now after over 20 years, we have offices around the world, including two North American offices located in New York City and Toronto. With more than 600 trained staff in our destinations and hundreds of projects, we are the world’s leading international volunteer organization. With the help of over 60,000 volunteers to date, we have accomplished a lot in our first 20 years, and plan on accomplishing much more in the next 20. Volunteers on Projects Abroad’s Shark Conservation project in Fiji work on pioneering shark protection projects alongside respected scientists and shark research experts. Working directly with the Fiji Shark Conservation Project, conducting the work of internationally renowned shark research scientists, volunteers will be directly involved in scientific shark research work. Volunteers will also work within the local community on mangrove reforestation, recycling, and shark education initiatives. The volunteers and the conservation work are supervised by our resident marine biologist and local staff. 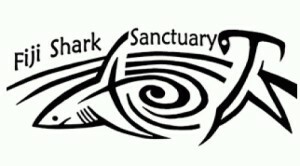 We also work closely with other local and international marine conservation organizations, including the WWF Global Shark Program. The Fiji Shark Conservation & Awareness Project and our partner dive organization, Beqa Adventure Divers are at the forefront of shark protection in Fiji. The primary aim of the Shark Conservation Project in Fiji is to protect and conserve the eight species of sharks that inhabit Shark Reef, as well as the many other species present in Fiji’s waters and to raise awareness of the need for shark conservation around the world. Beqa Adventure Divers is one of Fiji’s leading ecotourism operators and dive shops. Apart from taking people reef diving and wreck diving in Beqa Lagoon and diving with our Sharks, we manage a holistic conservation project aimed at protecting the marine environment whilst cooperating with local stakeholders. Whereas we have always strived to minimize our impact on the environment, we have never quite been able to substantially reduce our carbon footprint. Our vessels, our compressor and our vehicle are vital to our business, but the resulting yearly carbon emissions are high and very disturbing indeed. Mangals are one of the South Pacific’s most critically important and yet, most threatened habitats. They are especially important for us who are engaged in marine conservation as they not only protect the coastlines but are also vital nurseries for many species of marine life ranging from Crustaceans to Fishes but also Sharks. At the same time, they are excellent carbon sinks as they sequester more carbon than many of the various terrestrial forests. Mangroves are thus an ideal vehicle for promoting marine conservation, mitigating the effects of climate change whilst offsetting our own carbon emissions in the process. In our quest to become completely carbon neutral, we are offsetting all of our carbon emissions by planting a corresponding number of mangroves in Fiji.